Currently, about 40% of the food we produce is wasted, representing a carbon footprint larger than any individual country except China and the United States. It’s also a moral failing—in the United States alone, 1 in 8 people are food insecure. The EPA’s Food Recovery Hierarchy ranks methods of dealing with food waste from the most preferable to the least. Many people think of composting as the be-all end-all of responsible waste management, but it’s actually all the way at the bottom of the pyramid, just above the landfill. 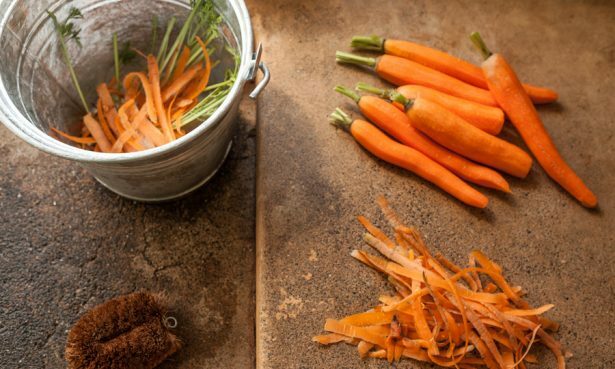 Don’t get us wrong, we’re big believers in compost—one of our owners is a self-proclaimed dirt doctor!—but effective reduction of food waste starts long before your cores and peels hit the compost bin. The top of the pyramid is source reduction, which simply means generating less food waste to begin with. The more mindful we are about using every ingredient to its fullest, the less food waste we’ll have to manage further down the line. It’s a philosophy essential to our culinary identity at SHED. Our different departments work together to ensure that nothing goes to waste, much like a permaculture farm would. When we have surplus dairy in the coffee bar, pantry products we need to move, or extra ripe and ready produce, our cafe chefs can transform them into new dishes. Our menus are full of underappreciated ingredients, from croutons made of bread heels to apricot kernel ice cream. And when we can’t use all of a seasonal ingredient, we ferment or preserve it. It not only lends flavor to our dishes, it extends fresh ingredients’ shelf lives to ensure they don’t end up in the trash. And our eye toward preservation goes beyond pickles; culinary powders and shrubs also keep produce out of the landfill. Our passion for preserving extends to helping others learn the art. 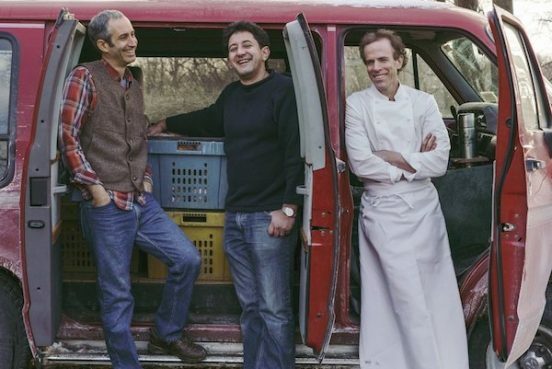 From canning classes to full-on food waste dinners, education is a top priority. Going low-waste in our own kitchen is good, but encouraging those in our own community and beyond to do the same can be game-changing. But despite our best efforts, sometimes we end up with food waste. We over-prepare or end up with trimmings that just can’t be used. The next three tiers on the food recovery hierarchy are all ways to make the most of leftover food. If we can’t eliminate food waste, we should try to feed hungry people, feed animals, or find industrial uses for food waste. As our leftover-loving employees and our well-fed chickens can attest, we’ve got the first two covered. We also work with an oil management service that turns all those fried chicken Fridays into energy-rich biofuel. The bottom tier of the food recovery hierarchy is the landfill. The landfill should only ever be a last resort. With so many alternatives to choose from, there’s no reason we should be throwing food away. Yet this is where 90% of food waste ends up. We’re proud of the work we have done to be part of the solution, but we know we can always do more. So we’re asking for inspiration from the place we so often find it: our community. We want to hear your ideas of how we can do more, because every meal we can keep out of the landfill is one more we can enjoy together. We welcome your comments and insights below! Yogurt is downright magical. It’s packed with protein and with gut-friendly bacteria that aid in digestion. It goes from sweet to savory, from breakfast to dinner, like nobody’s business, and it stays fresh far longer than a carton of milk. Making your own batch of yogurt feels pretty magical too, and is simple to boot—all it takes is a quart of milk and a spoonful of yogurt. Yes, you read that right—you need yogurt to make yogurt. Yogurt is the product of live bacterial cultures fermenting milk, and for your first batch you’ll need to borrow some of those cultures from a good storebought yogurt. 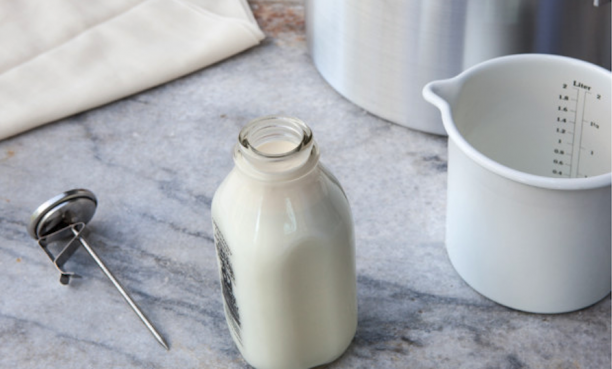 Once you’ve had your first yogurt-making session you can save some of your homemade yogurt to inoculate the next batch, much like maintaining a sourdough starter or a kombucha mother. Homemade yogurt without stabilizers or thickeners has a thinner texture than you might be used to—it will dribble, rather than dollop. If you prefer a thicker yogurt, strain your yogurt through a cheesecloth-lined colander for a few hours. Put milk in a heavy pot over medium-high heat. Heat, stirring frequently until milk reaches a bare simmer. Milk should be between 180 and 200 degrees. 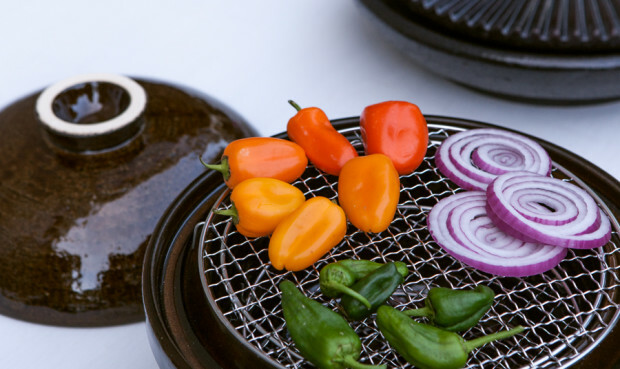 Remove pot from heat and let cool to between 110 and 120 degrees. Place yogurt in a small bowl and whisk in a bit of milk until smooth and liquidy. Stir the yogurt mixture into the pot of warm milk and cover with a lid. 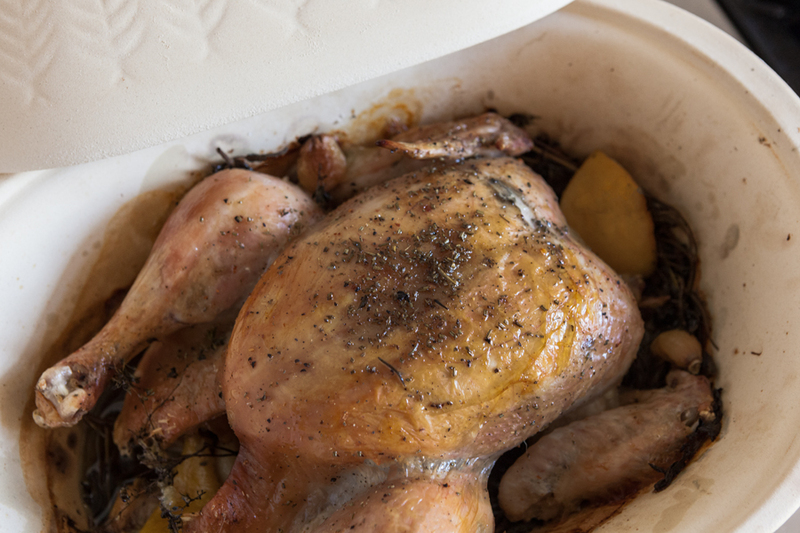 Wrap pot in a large towel and place in a warm place, such as in the oven with the light turned on or on top of the refrigerator. Let yogurt sit for 6-12 hours until thickened. The longer it sits, the tangier it will be. At the end of fermentation, whisk the yogurt vigorously until smooth. Keep finished yogurt in the refrigerator, and be sure to save some for the next batch. Perfectly in-season stone fruit is an unexpected-yet-perfect match for pungent kimchi, cooling yogurt, and bright citrus. With a shower of cilantro blossoms on top, this salad is a beautiful celebration of late-summer flavor. Toss all ingredients together. 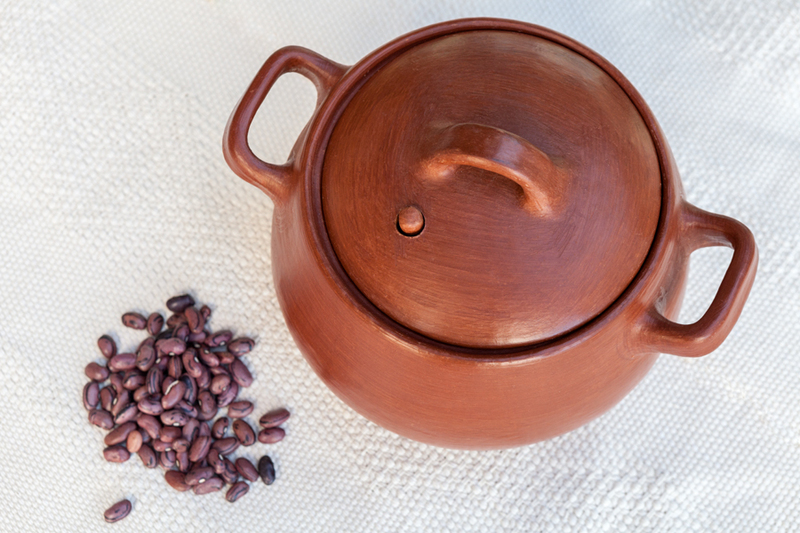 Place in a fermentation crock for 14 days then refrigerate for up to 6 months. On the desired plate place a small pool of the soy yogurt. Add a dollop of the miso. With the tip and a small spoon swirl together to create a marble effect. Place the sliced plums off to one side of the yogurt miso mixture. Add some of the beet kimchi. Scatter the purslane, basil, Serrano chili, and cilantro over the top. Using a microplane zest the lime over each plate. After you have added zest to each plate, cut the lime in half and squeeze the lime over each salad. Mix all ingredients together and let sit a room temp for 48 hours, then refrigerate for 1 week. It’s then ready to use. The kosho will hold for 6 months in the refrigerator. Take a page from the French and savor the summer with good books and good eats. We have collected a few of our favorite cookbooks that celebrate French cooking, eating, and reading. Bon appétit! Originally published in 1974, Simple French Food has become a classic French cookbook. Richard Olney was an influential American food writer who brought the joys Provençal cooking to the American table. 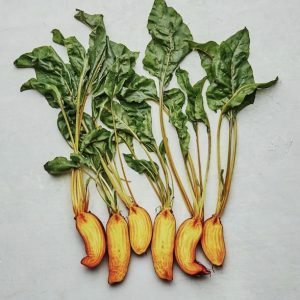 His promotion of local, seasonal ingredients influenced the food movement in California and inspired prominent chefs like Alice Waters, who keeps a copy of this book at Chez Panisse. Simple French Food is as much a work of literature as it as a cookbook. It deserves to become well-worn and cherished, in a kitchen cabinet or tucked away in the living room. Simple French Food is a training manual for the dedicated home cook. Olney’s words flourish across the pages in deliberate and robust explanations. Appreciating his language is as important as the content of each dish. Within are recipes for braised fennel, squash gratin, crêpe batter, and marinated roast leg of lamb. Some recipes appear simpler than others, though they all maintain the integrity of the Provençal kitchen. An essential addition to any cookbook collection, this is a timeless classic of ingredient-driven cooking. Tasting Paris is a snapshot of the contemporary Parisian foodscape. This modern cookbook offers 100 recipes to eat like a Parisian. Paris native Clotilde Dusoulier writes as if she is sharing a secret with the reader—each page offers advice for finding authenticity in a city notorious for tourist traps. Well-suited for the coffee table, this sizable book transports the reader to Paris through elegant photographs and stories. 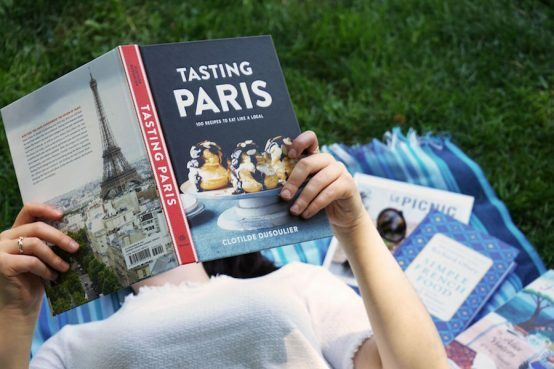 Tasting Paris is a gentle approach to French gastronomy that encourages you to cook like the locals do. Dusoulier includes some classic French dishes such as brioche with café au lait for breakfast and duck magret for dinner. Less traditional (but no less delicious) is the potato chip and chive omelet, made famous by Michelin-starred chef Éric Frechon at the Saint-Lazare train station bistro. Even more impressive are the dishes from immigrant communities in the city. Among these are baghrir, Moroccan crumpets served with melted butter and honey, and Turkish lamb served over roasted eggplant and cheese sauce. Together, these recipes create a memorable and flavorful taste of Paris. 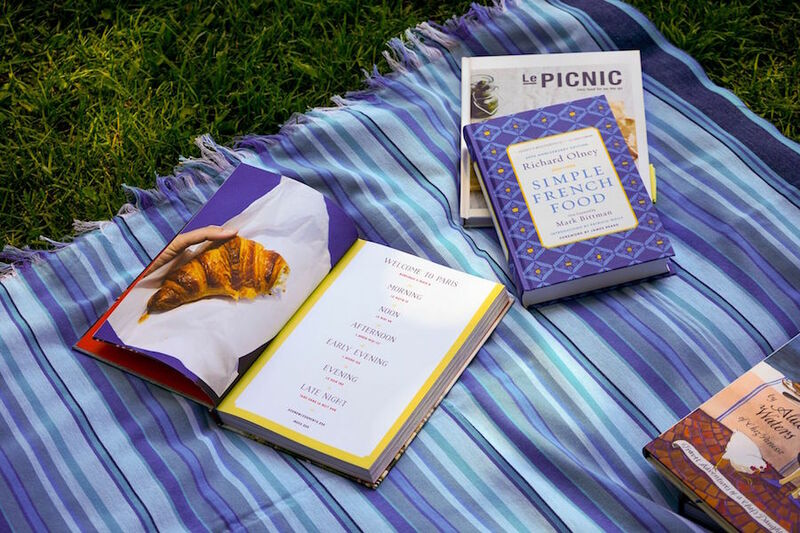 Le Picnic is a playful recipe book that elevates the average picnic to a sophisticated affair. It offers a spread of chic food for on-the-go excursions and afternoons in the sun. Suzy Ashford, an Australian writer and avid Francophile, brings whimsy to the packed lunch with impressive yet straightforward recipes. Le Picnic is both a practical guide for meal prepping and also an excuse to daydream of summer fun and frivolity. Ashford categorizes her recipes into Le Snack, Food for Sharing, La Salade, Sweet Delights, and La Drink. 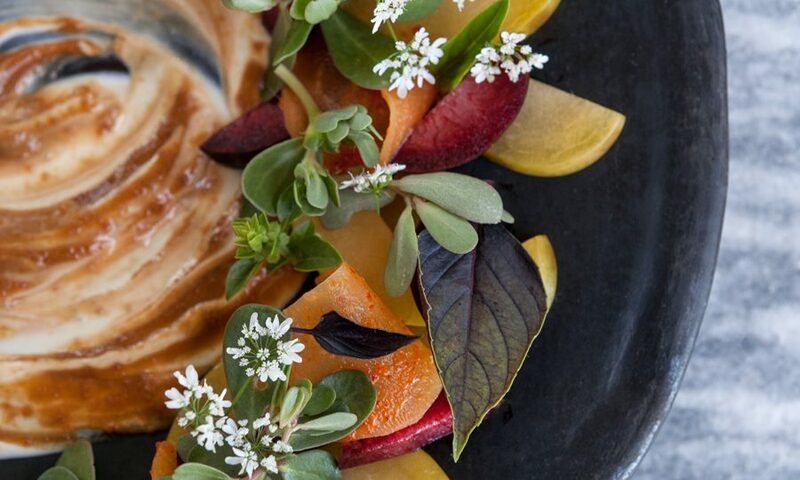 Some standouts include baked savory figs with goat cheese and walnuts, comté and asparagus tart, salade Lyonnaise, and rosé granita. These recipes are perfect for summer entertaining, whether along the banks of the Seine, in your local park, or on your back patio. Crafting stylish picnic food is a delightful way to spend a summer day with friends. Find these books and others in our French collection. Happy reading!